In 1997, Dr. Diana Batoon founded Bonita Dental in Scottsdale, AZ. 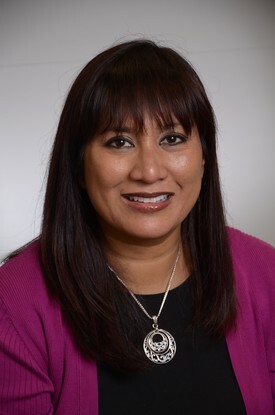 A graduate of Tufts University with specialized training in Dental Cosmetic from the American Academy of Cosmetic Dentistry, Dr. Batoon combines her passion and expertise to challenge the way dentistry is done. She completed a General Practice Residency at VA Hospital in Loma Linda, California and has have over 20 years experience in the dentistry field. Dr. Batoon has extensive training in Full Mouth Rehab, TMJ, Dental Implant Restorations and Sleep Medicine. She has been most successful with her patients’s overall health and pairing it with the right treatment. It’s been proven in our office that this approach leads to long lasting restorations and overall improvement in oral health. Dr. Batoon spends a lot of time and attention to detail and her patients’ desires to achieve the right outcome. Dr. Batoon is a leader in the dentistry profession, an international speaker and an active member in multiple industry organizations. She contributes her time and services at dental events serving the local community. Her areas of expertise include Restorative Dentistry, Sleep Medicine in the Dental Practice, Sleep Disordered Breathing in the Pediatric Population and more. She participates in continuing education to provide her clientele with the latest techniques and technology to provide the best dental care available. Dr. Batoon enjoys doing her Health and Wellness seminars for the public to educate and inform about their oral and overall health. Dr. Batoon always finds time to be active in the community and give back. She enjoys spending her free time with her husband and three boys.